All that you have given me, I hold steadfast. 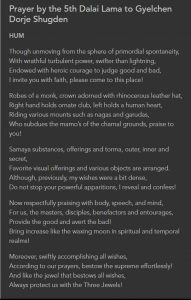 All the Dharma you have bestowed on me I treasure. All the compliments you gave me, I train in no attachment. All the scoldings you lovingly gave me, I see as the end to my ego. All the mandalas you initiated me into I see as doorways to end my samsara. All the time you gave me can never be equalled by another. All the instructions you gave me, I will not find excuses to abandon. Whether you are present obviously or not, I will meditate on you daily and invoke your blessings. 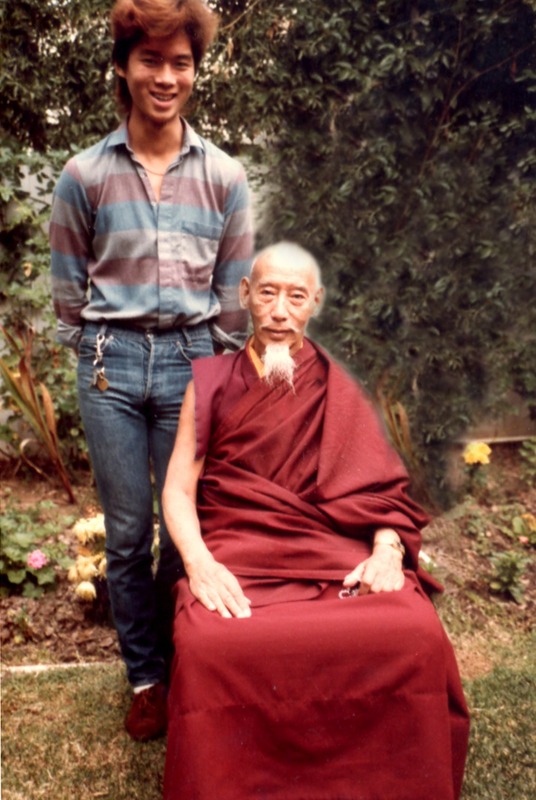 Although now you are gone physically Father Guru, I hold onto your lineage. I hold onto your practice. I hold onto your Yidam. I hold onto your yogas. I hold onto your protector. Whatever is sacred to you Lord Guru, is my privilege and honor to receive. For my loyalty to your instructions to me, I am scorned. For holding onto your lineage I am cursed. For holding onto what you have given me, I am reviled. For being loyal to your being, I am made into an enemy of all that is good. For being loyal to your practices, I am called the most corrupt and liar. For being loyal to your protector practice, I am called degenerate. For being loyal to you I am called all names that denote corruption and I am shunned. For never losing faith in you Father Guru, I am abandoned and left to to be hated by all that I am familiar and expelled. 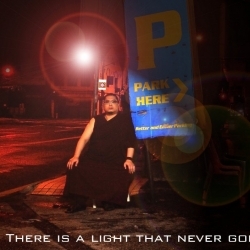 My days and nights pass with scorn from the ten directions even from those I have never met or shall never meet. 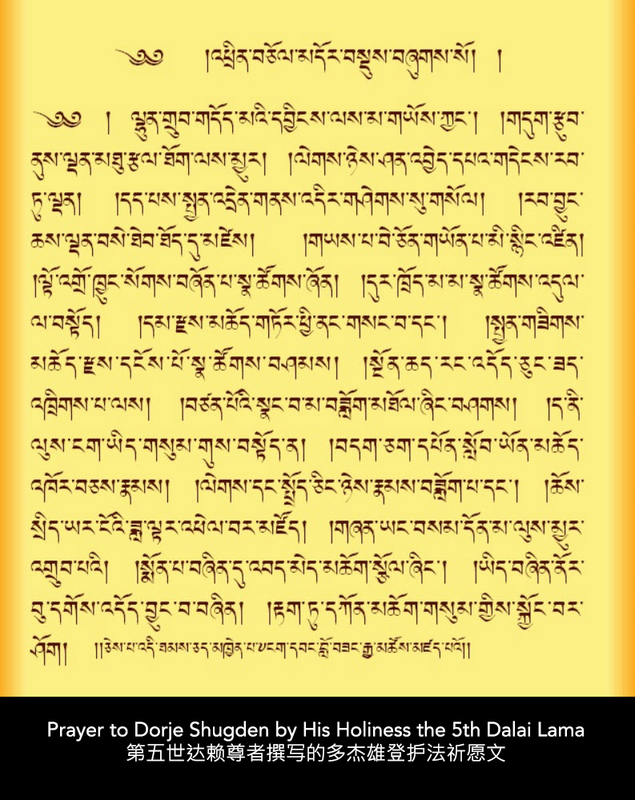 My Lord guru, I will not forsake you even if the hatred of all samsara is upon me daily. 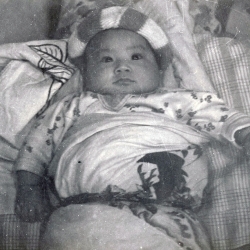 It is not easy to live this way, sometimes I weaken, but I will not lose my Father Guru’s instructions nor abandon them. They may revile me, hate me, scorn me, abandon me and friends may leave, opponents abound, family walk away, but I will not abandon a shred of what you have taught me. Even if they chase me away, threaten my life and I have nowhere to go, I will not abandon the teachings you have bestowed upon me. 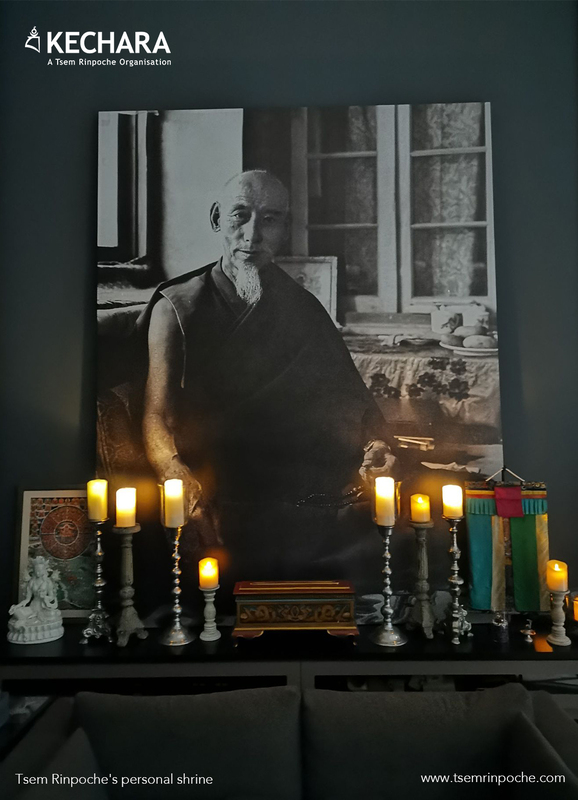 My Buddha Guru, I will hold all your teachings, practice, lineage, yidams, yogas, protector within my heart and share with others as you have shared with me no matter how much hatred I must withstand and tolerate. 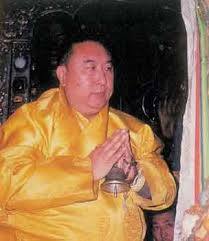 For monetary, political or samsaric gains offered, I will still not abandon your teachings my Guru. For friendship, acceptance and popularity I will not abandon your teachings my guru. Even if another guru more famous, well known or higher in hierarchy tells me to abandon my practice given by my guru, I will not abandon but remain steadfast as no one has the right to override my guru. 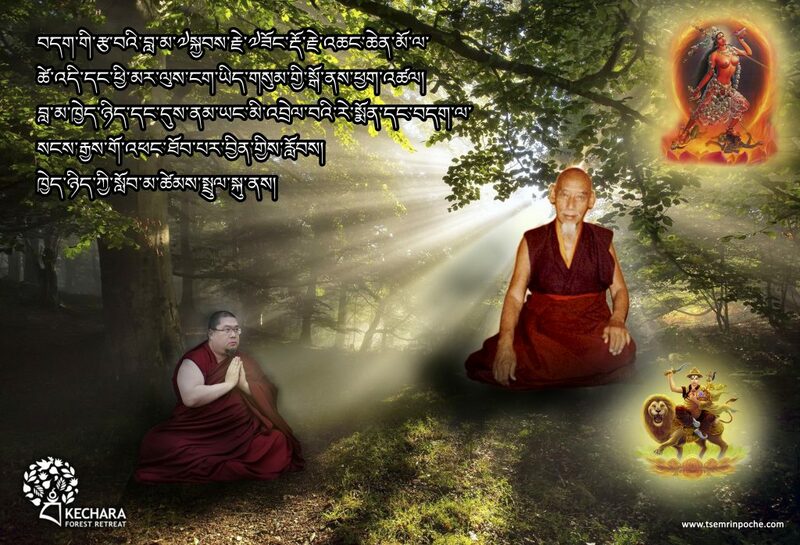 For the hatred, scorn and accusations towards me, I will not abandon your practice and protector my Buddha Guru. 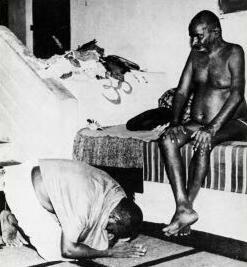 Without the permission of my guru, I may not abandon any meditations, prayers, yogas and paths given to me by him. 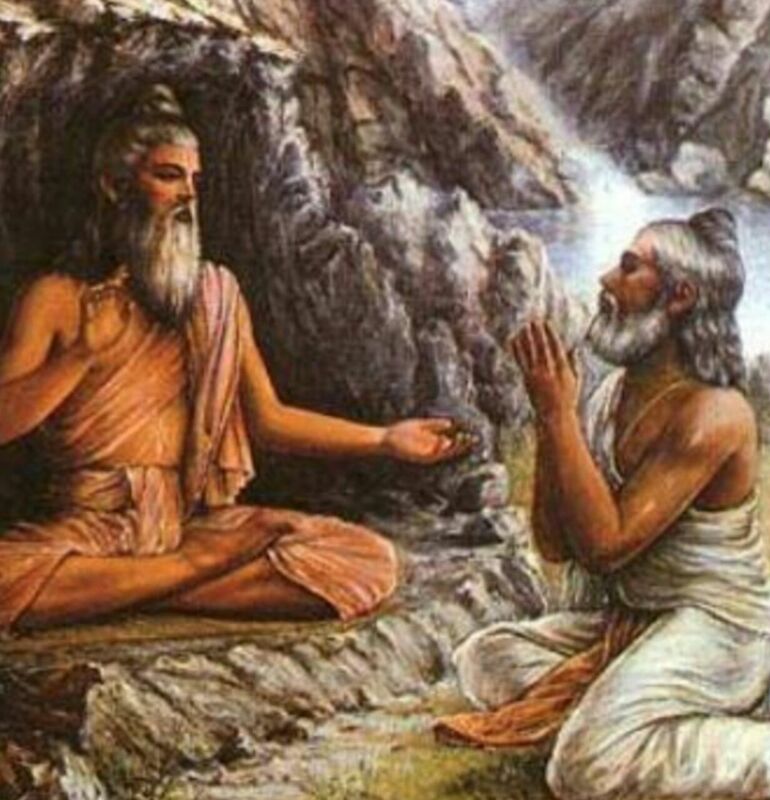 No other guru may override my guru’s instructions to me. My guru has examined me and knows exactly what I need to tame my mind. Therefore, with respects, I pay homage to all practices given to me by my guru and hold them dear till my death. Others may criticize my guru, his lineage, his practice, his methods, but I will remain unshaken in order to develop perfect devotion leading to samadhi. If others should speak negatively about my guru or his practices, then be it they are a guru themselves or students, it will not affect my mind. I remain firm on the path given to me and I practice diligently. 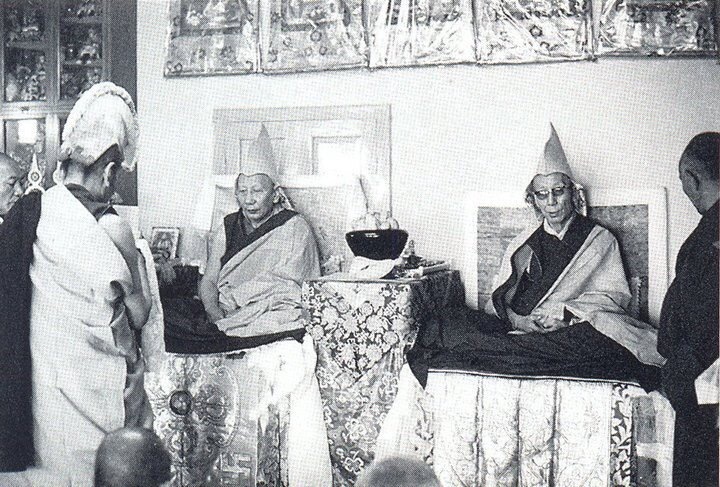 In Vajrayana Buddhist tradition (Tibetan Buddhism), it is said that all attainments come from our guru. Therefore, it is very important to learn from a qualified guru. A qualified guru will know our state of mind and give us the practice that we need to progress in our spiritual journey that leads to enlightenment. The training from the guru for every student is different. 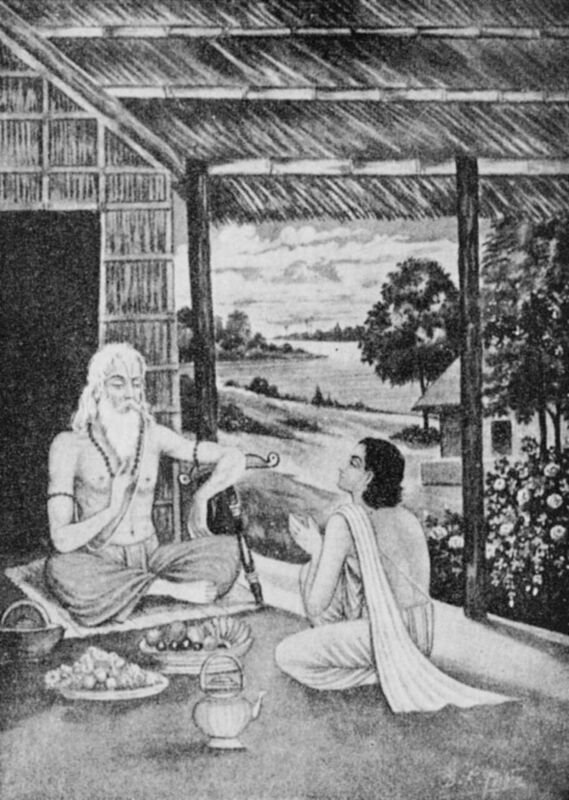 Sometimes, the guru will use a very wrathful method to train a student. 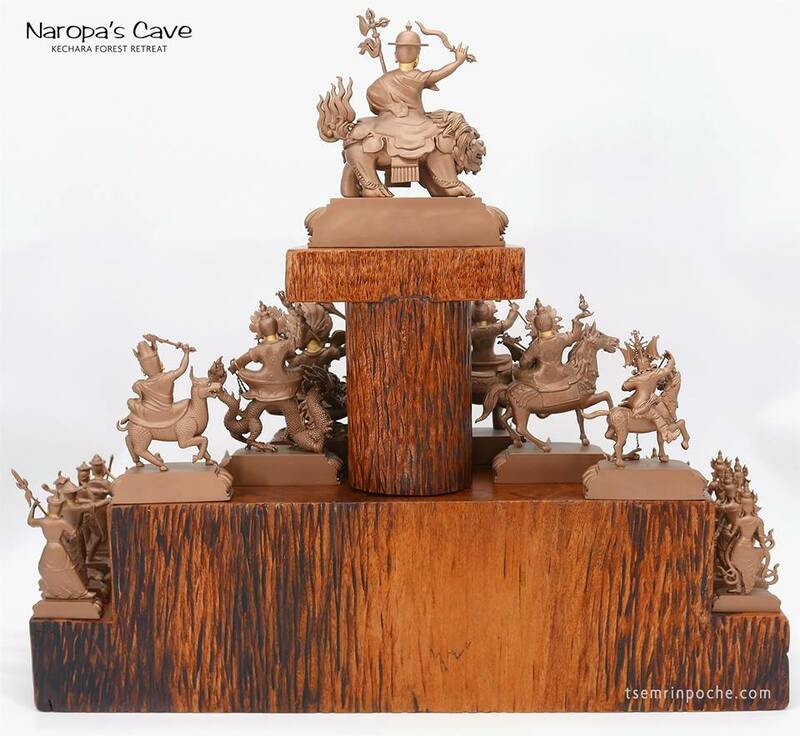 When a guru uses the wrathful method, he is risking his reputation to help the students. 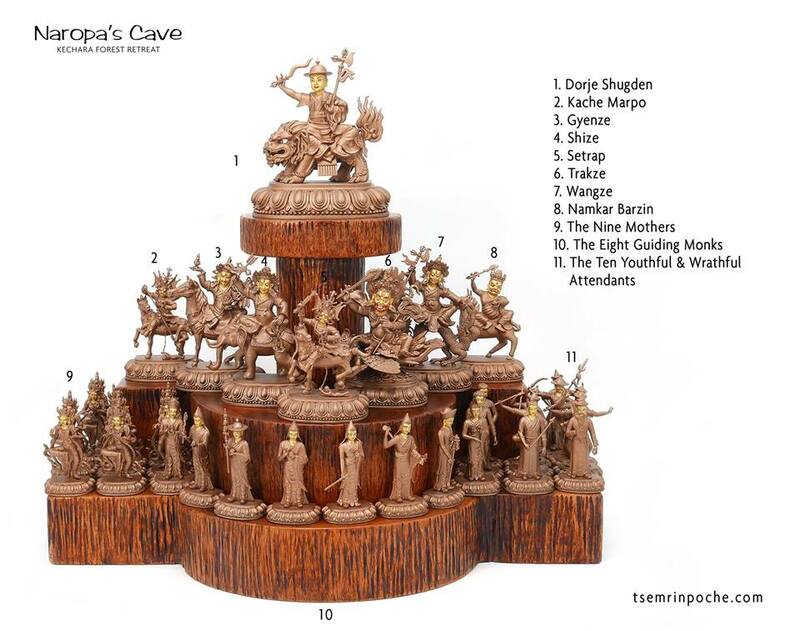 The scoldings from the guru or simply just ignored by the guru is not because our guru doesn’t love us, it is because of our karma and our state of mind. Once we understand why our guru treats us in a certain way and we change and transform ourselves, our guru will be very pleased and things will change. He wants us to take responsibility for our lives and be out of sufferings. A real guru is not here to make us feel good but to constantly challenge our comfort zone so we can progress in our spiritual journey. When we have found a qualified guru, never abandon him. Maintain a very good relationship (samaya) with him so that we can meet him again and again until we achieve enlightenment. 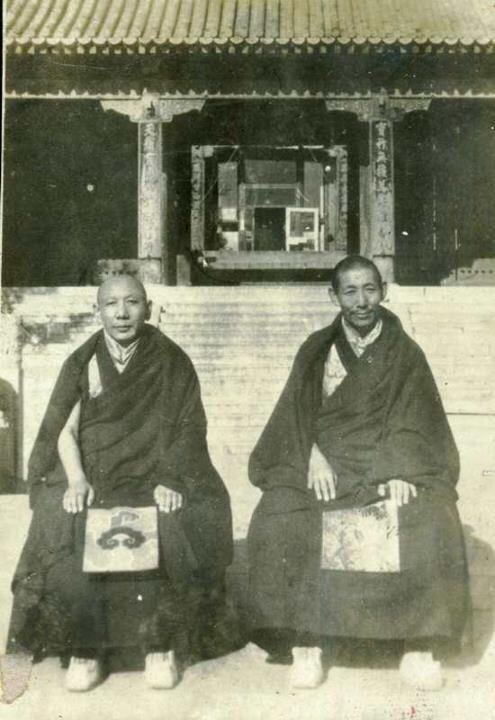 Please ‘enjoy’ these beautiful images of His Holiness Trijang Rinpoche and His Holiness Ling Rinpoche, the precious tutors of His Holiness the 14th Dalai Lama. 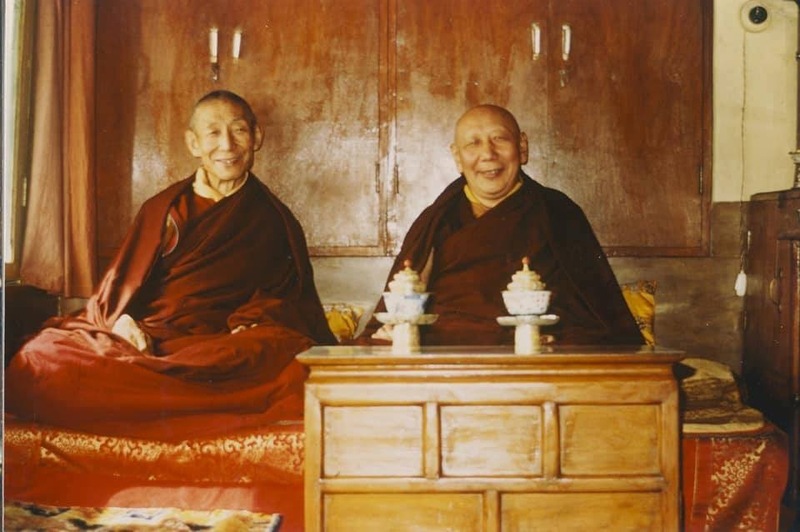 These masters shared a very special, close relationship; it was well-known that when in Trijang Rinpoche’s company, Ling Rinpoche was often seen to be laughing. 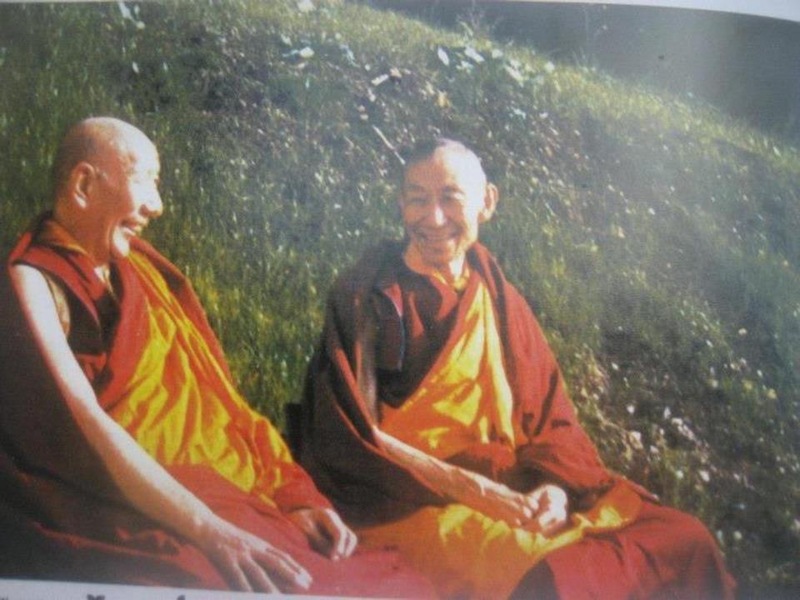 After Trijang Rinpoche’s passing, Ling Rinpoche remarked many times how much he missed Trijang Rinpoche due to the unique and close relationship that they shared. 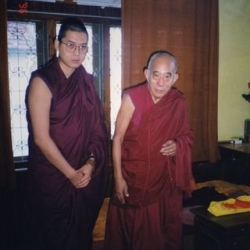 Through thick and thin ,and nor matter what happen and how many obstacles Rinpoche went through ,Rinpoche has remain resolutely in his promise and devotion to his Gurus. Rinpoche has show us the true meaning of Guru Devotion. Thank you for sharing this wonderful advice and teachings. Promises and vows, most of them are hidden from sight. And if anyone trangresses or abandons promises and vows to people who have already departed from this life, no one will know about. 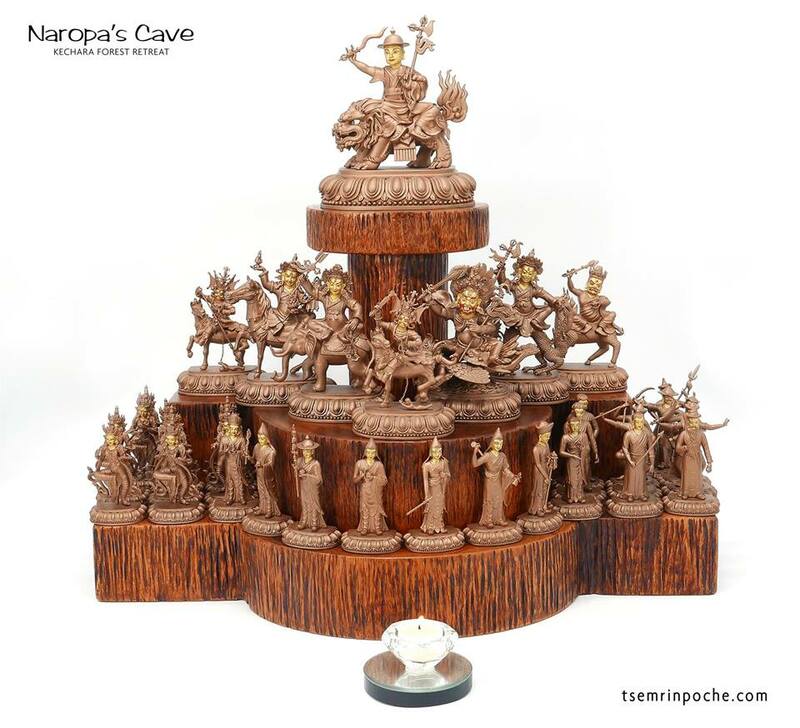 As we can see from social media, because of the Dorje Shugden issue, Rinpoche is attacked by people and those he does not know and the attacks is continuous. 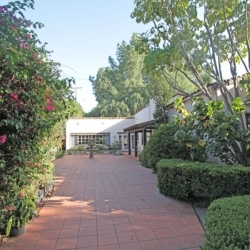 I have said many times if the time people focused on attacking others that they do not know, or even have the qualification to evaluate based on social media post and articles on the internet and redirected that enthusiasm to practice and contemplation on the dharma they would be spiritually advanced. 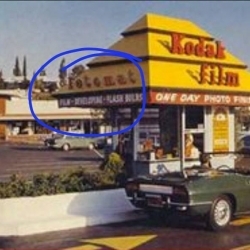 They would not remain as having discontent, hateful, intolerance, they would mature spiritually. The scorn a faithful receives is not about the faithful but about the scornful. The scornful do not understand the faith in the faithful because the scornful has not experienced, perhaps has not contemplated, perhaps is just not ready to understand, what the faithful does. And what does the faithful understand? For one, the faithful understand that faith is not about not having doubts. The faithful understand that faith and doubt are a pair, that when you have one you will have the other. This is perfectly logical. 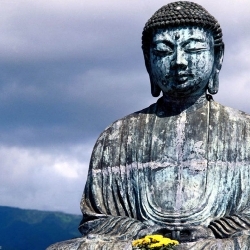 Lord Buddha Shakyamuni emphasized this in the Kalama Sutta where he taught that it’s not for us to accept his teachings uncritically, but to use our own experience and reasoning ability to determine for ourselves what is true and what isn’t. 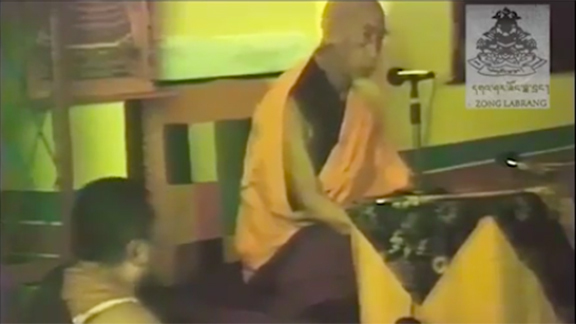 And as Rinpoche has taught, have compassion for the scornful and try to help them gain knowledge and ultimately some wisdom to reduce their hate. 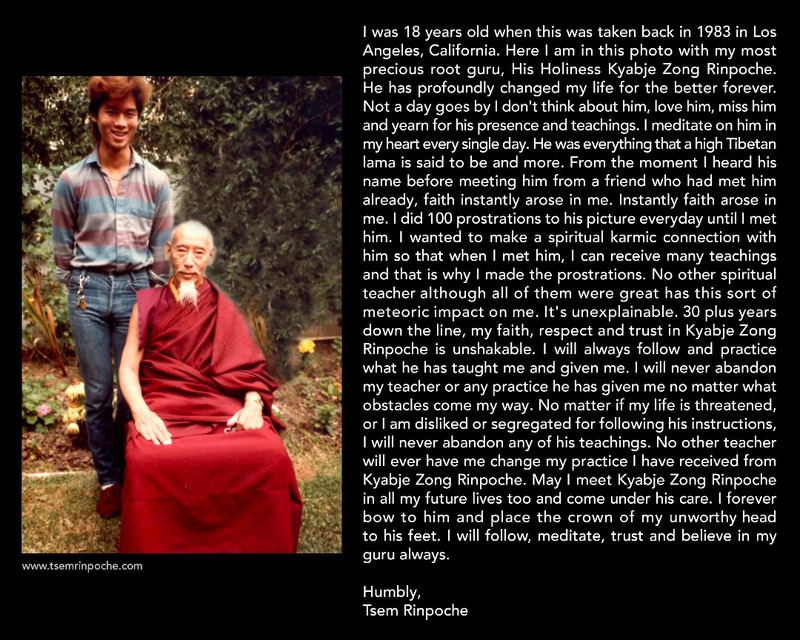 Thank you Rinpoche. 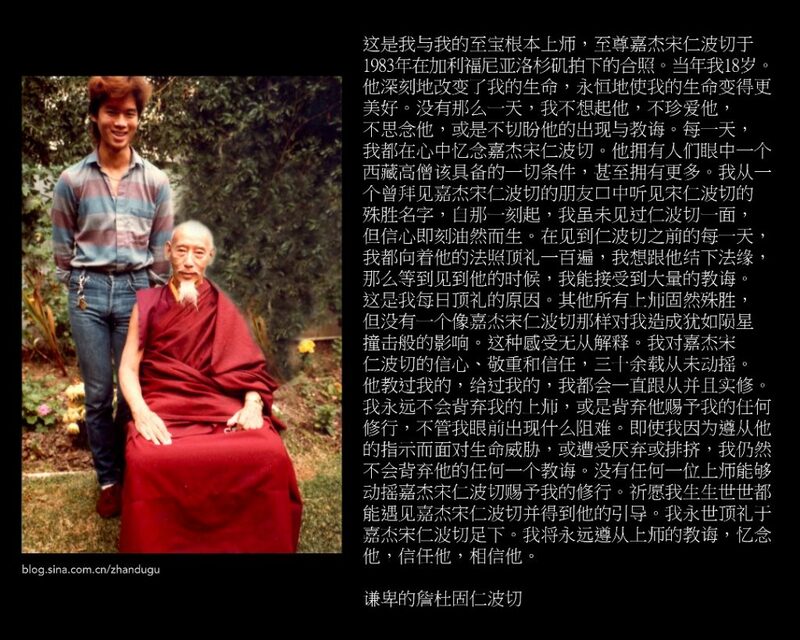 Thank you Rinpoche for this sharing and showing us the true meaning of Guru Devotion. 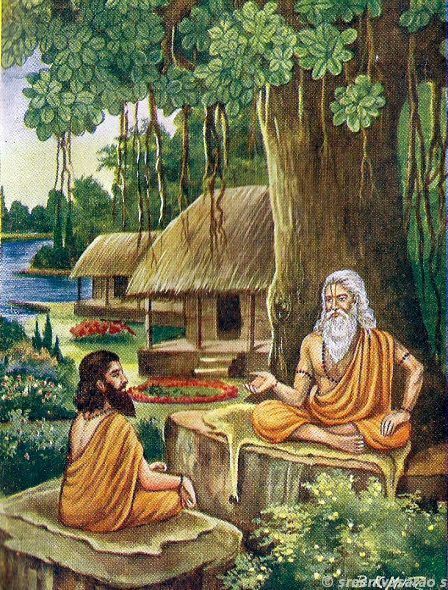 It is not encouraged to have multiple Gurus because the student may be confused by the different set of teaching. It is us who will be confused at our level, not the Guru. Practice diligently what the Guru teaches us all the way. 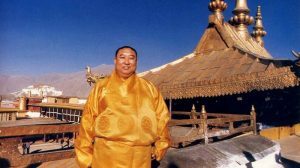 It is very painful for us students and followers to witness the discriminations and insulted hurled at Rinpoche for simply practising good Guru Devotion. The haters are violating basic human rights and religious freedom that are totally unacceptable in this modern time and age. I pray that the haters will soon realised their wilful ways and follow the preaching of their guru diligently. 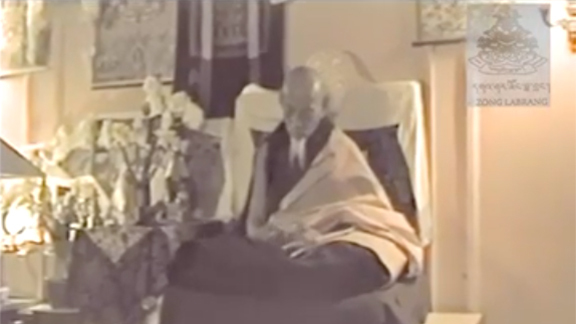 Thank you, Rinpoche on this teaching on Guru Devotion. 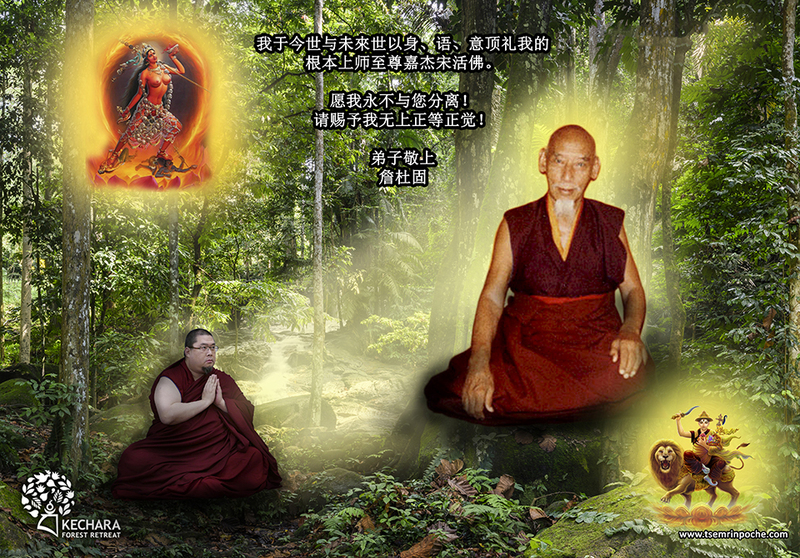 May all of us be blessed and follow our Guru Tsem Rinpoche on his footsteps on Guru Devotion. 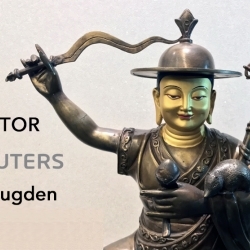 May the Dorje Shugden ban be lifted. 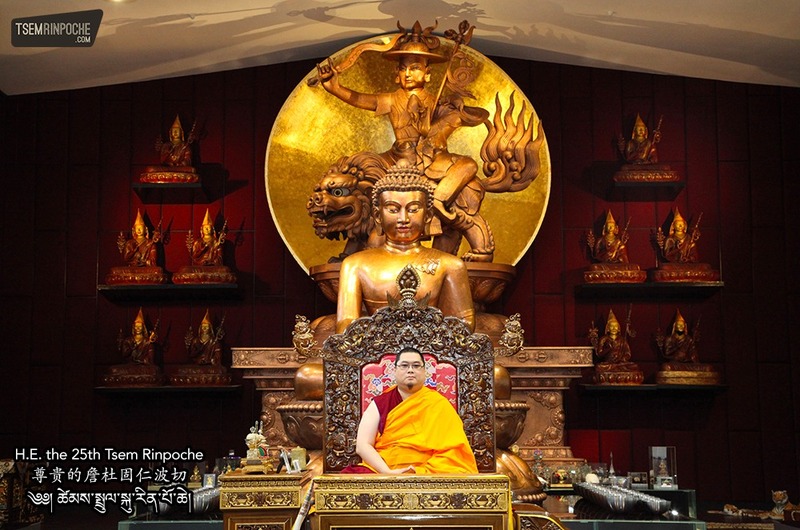 May our minds be transformed and follows all the teachings of Tsem Rinpoche. 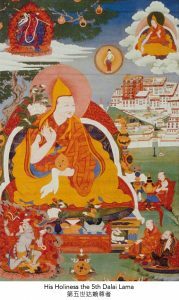 there are instances of gurus/teachers abusing their position – what is your advice in this regard? 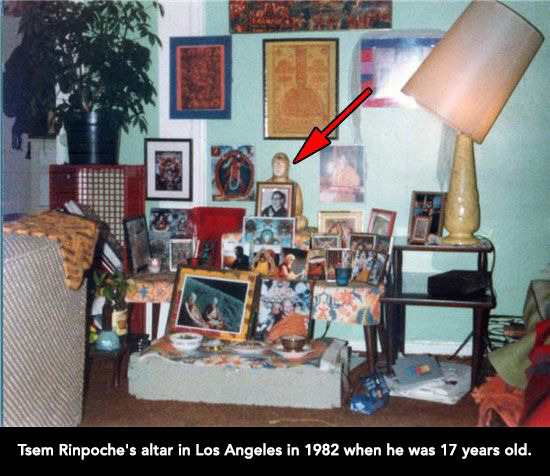 I pray and practice to possess the same level of guru devotion like Tsem Rinpoche has for his root guru and gurus. 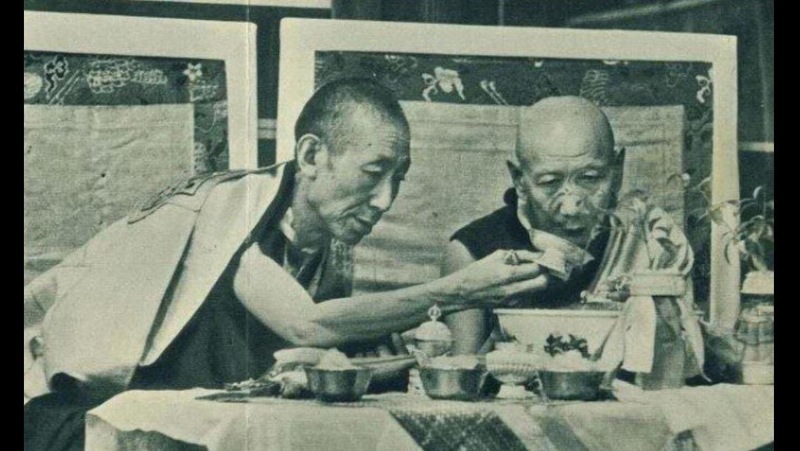 May I have the merits to serve you, like how you serve H.H Kyabje Zong Rinpoche. 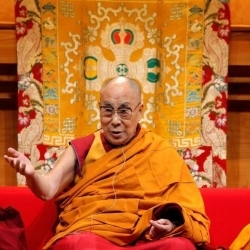 May I have the merits to assist you to spread pure Buddhadharma far, wide and deep to the degenerating world, hence, more people and sentient beings can be benefited. May I never be parted from you, my Guru, Tsem Rinpoche, Buddhas and Dharma in my future lives. May you live long, healthy, continue to turn the wheel of Dharma, assist & teach us the correct ways to transform our MONKEY MINDS. 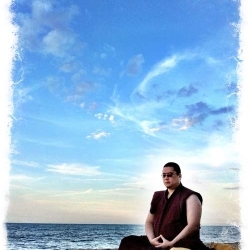 I bow at your lotus feet with the crown of my head , Tsem Tulku Rinpoche. 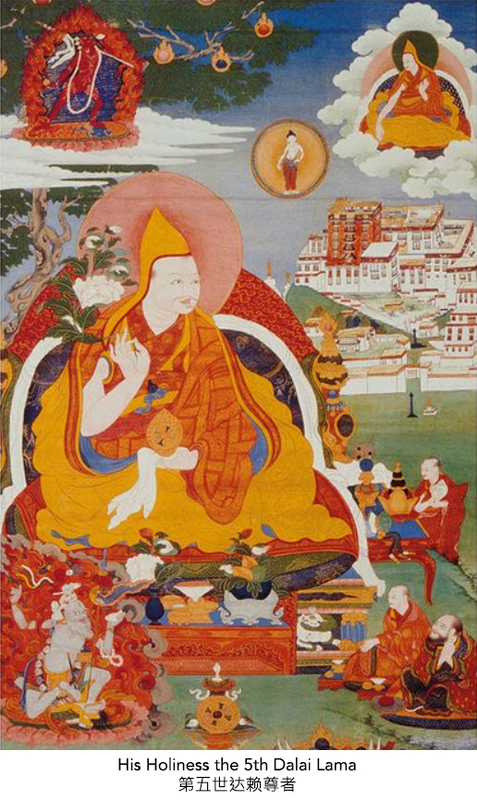 Rinpoche is a living, breathing, walking example of Guru Devotion as expounded by Ashvagosha in his 50 Stanzas of Guru Devotion. 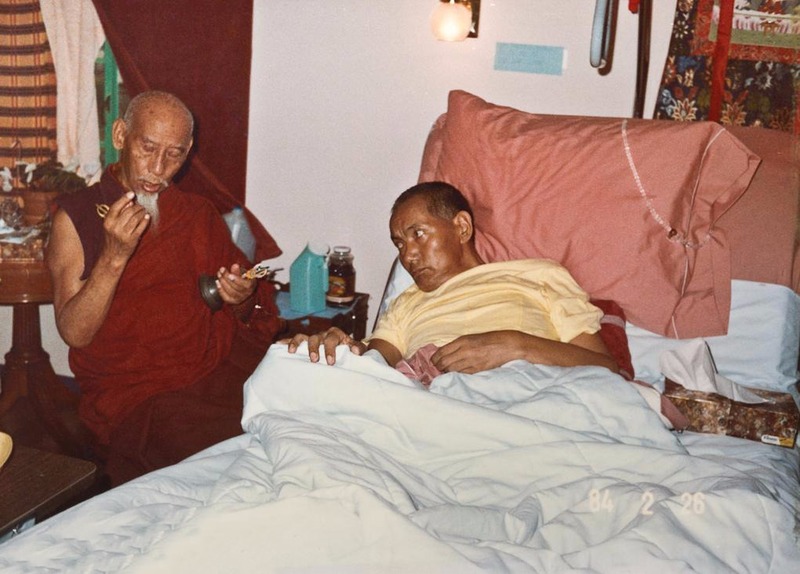 Through tough times and good, Rinpoche has remain steadfast in his promise and devotion to his Gurus. And, times has been extremely tough and trying the last few years due to the stance of the CTA against Dorje Shugden practitioners. 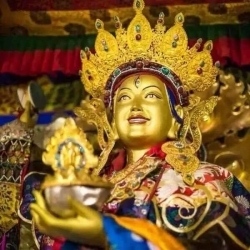 It also has been very sad times as Rinpoche is unable to effective reach more people to teach the pure teachings of Lama Tsongkhapa to benefit them. 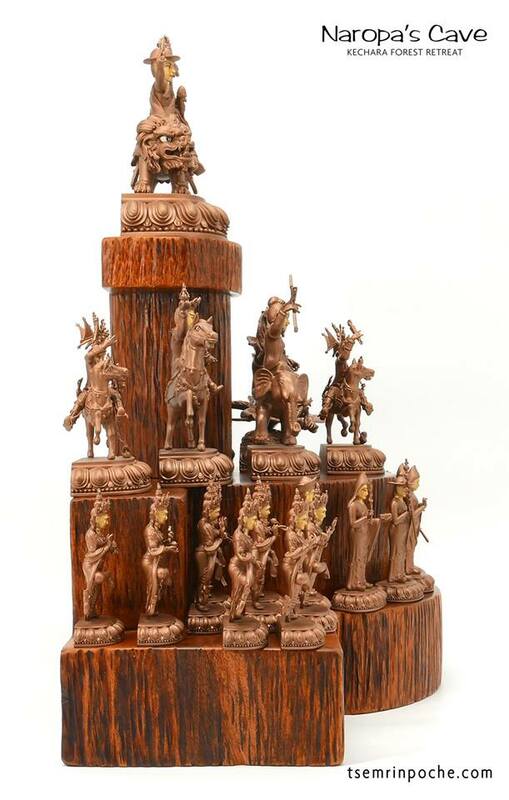 These people are then deprived of the blessings of the dharma. 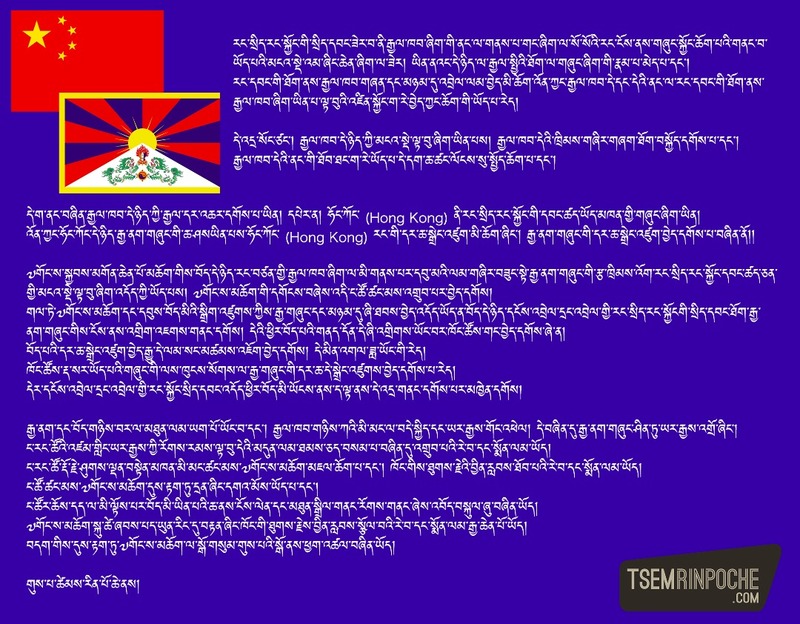 May the ban be lifted soon that more people may benefit from the dharma and pure teachings of Lama Tsongkhapa. 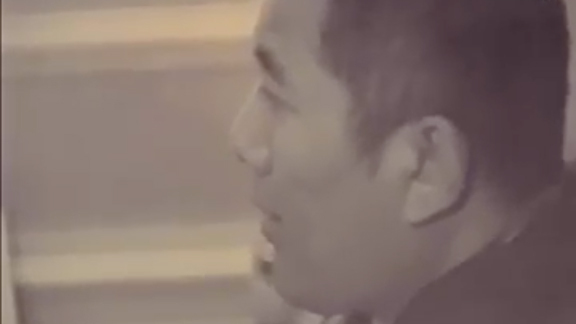 Thank you for sharing this wonderful advice and teachings. Whatever the guru has given us, we must follow and continue for the guru knows how to benefit us and would not give something harmful. We must keep our commitments clean and intact. Then many more can benefit. 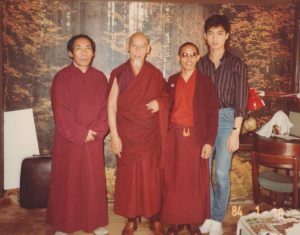 Whenever Tsem Rinpoche speaks or writes about Zong Rinpoche, it always evokes an incredible and palpable sense of tenderness and love. 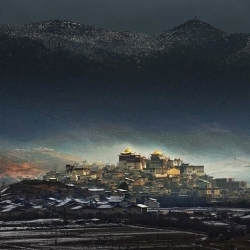 At the same time there is so much fortitude in that gentleness and I guess that is what pure guru devotion ‘feels’ like. 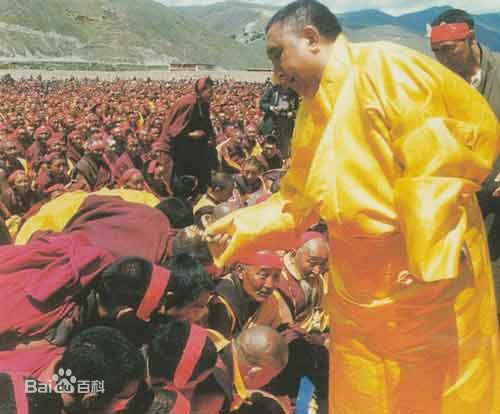 Rinpoche has never taught or asked his students to be devoted and loyal to him but through his living example, so many have learned and experienced the sheer joy of loving the Guru whole heartedly. 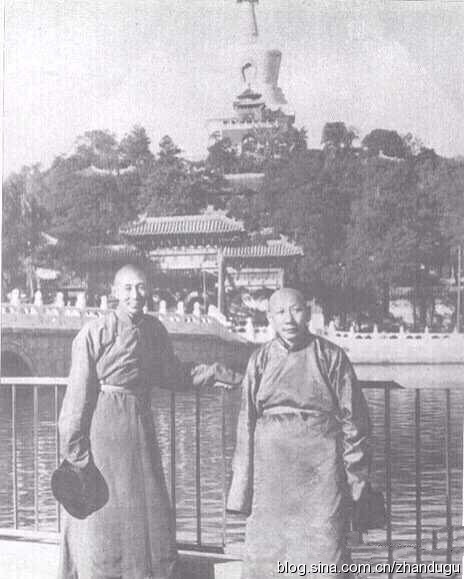 Rinpoche’s unshakeable commitment to Dorje Shugden comes from his faithfulness to Zong Rinpoche. Similarly my strong reverence to the Protector stems from my absolute trust in my Guru. 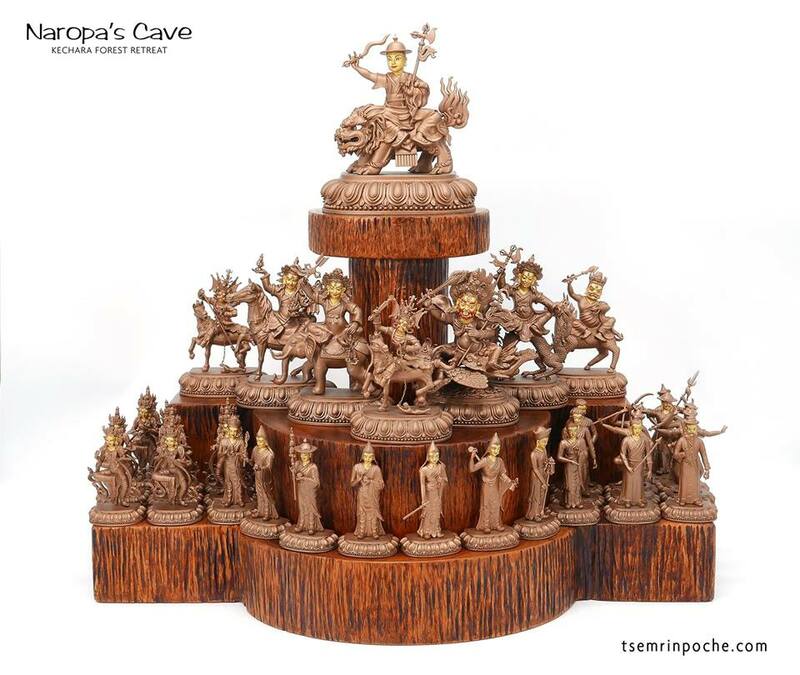 Those who try to force Shugden practitioners to abandon the Protector do not understand this. They do not understand that what keeps us loyal is the greatst love we have experienced and it is far more precious than temporal life. 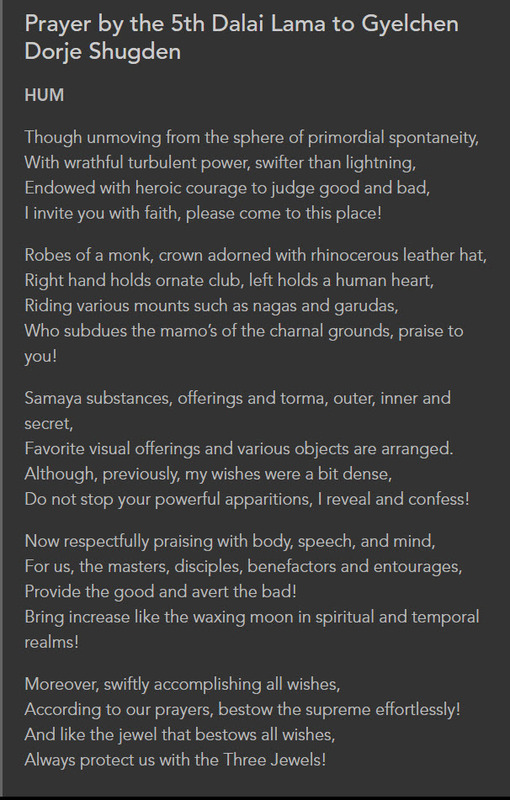 This is such a heart rendering poem & article of the challenges Rinpoche faced in holding steadfast to keeping his Guru Devotion strong and samaya clean. 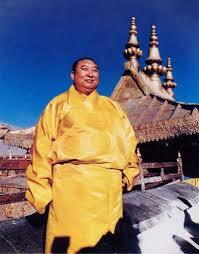 Rinpoche can never be faulted in the purity of his devotion to his Root Guru, H.H. 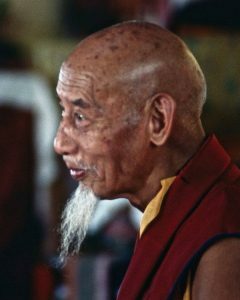 Kyabje Zong Rinpoche and is a living example of the prayer “50 Verses to Guru Devotion” by Ashvagosha. 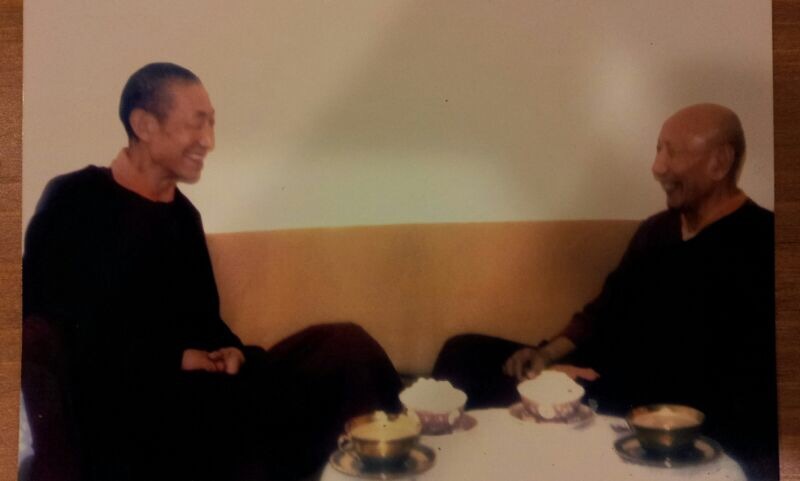 As the time past with Rinpoche as my Guru, the more my faith and pride grows in being able to say “He’s my Guru”. All that he has ever taught, the way he lives and the way he treats others are true to Buddha’s teachings, albeit modernised to suit our era. 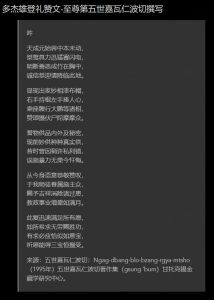 Thank you for sharing this beautiful article. Why should Rinpoche face so much vulgar abuses for bringing us the enlightened protector practise of Dorje Shugden? 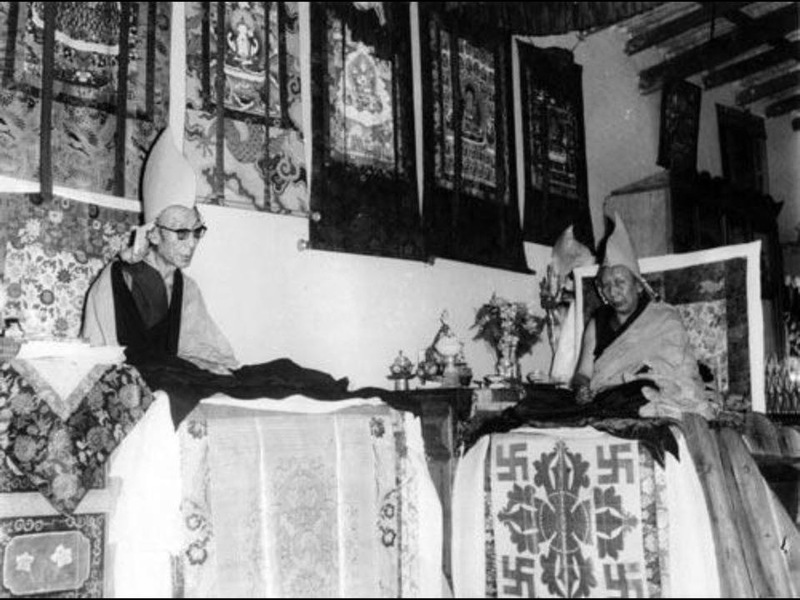 The 14th Dalai Lama claimed that there is no ban to the practice, so why is CTA and his followers creating so much pain and sufferings for the Shugden practitioners by discrimination, segregation, persecution and abuses? 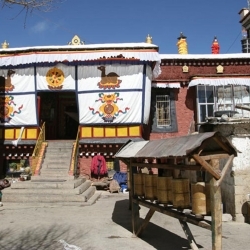 The Tibetans Shugden practitioners in exile faced problems with their living daily, not able to enter shops to buy groceries, not given medical care, problems in education, travelling papers denied, etc. 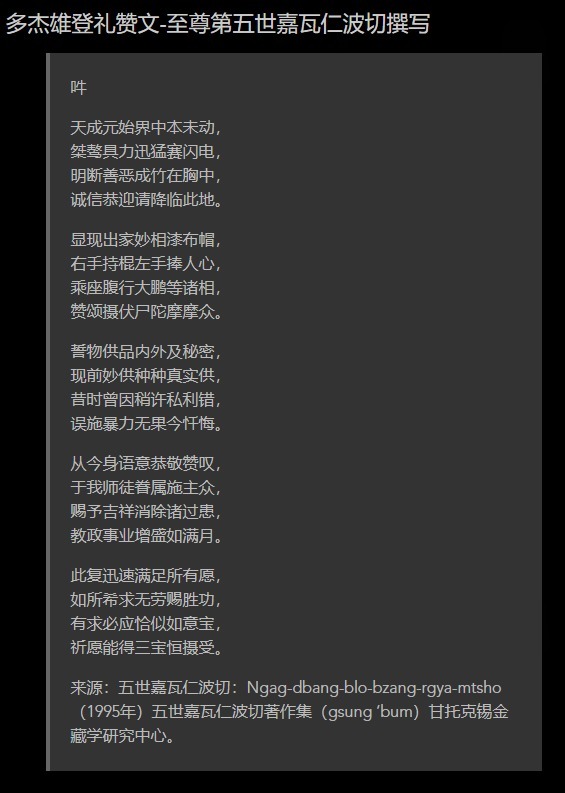 Rinpoche faces daily Cyber Attacks from unknown persons who would spam with vulgar lies daily and at all hours (probably paid to troll) and accused of being a paid Chinese spy. It is just so weird that a person could be subject to such demeaning abuse, what more a pure Lama like Rinpoche. 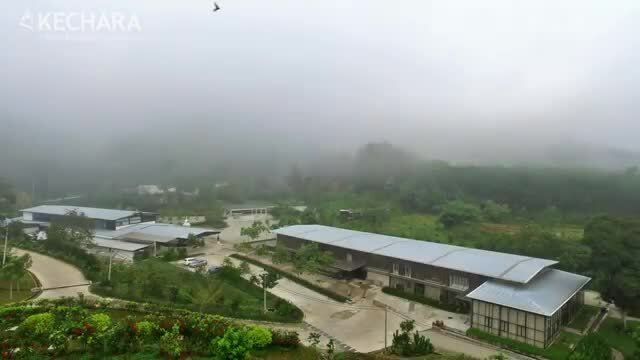 Besides, Rinpoche is in Malaysia in Kechara and all he does is expound the Dharma so it just illogical he is a Chinese spy. 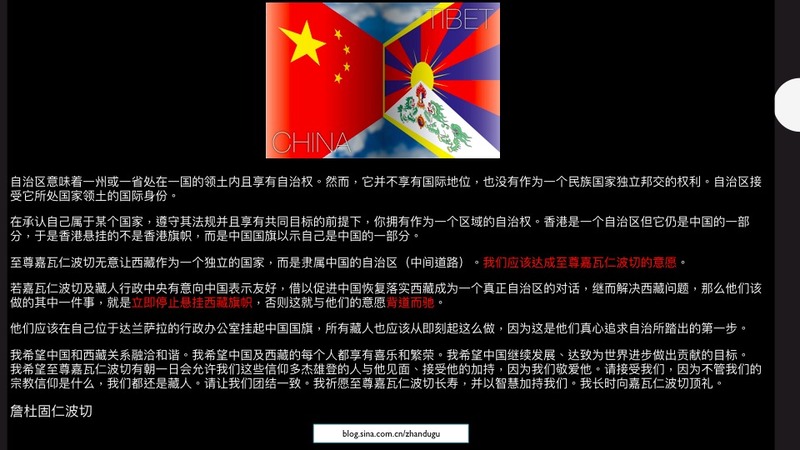 Is teaching Dharma equal to spying for the Chinese? Then His Holiness will be very guilty for that too. 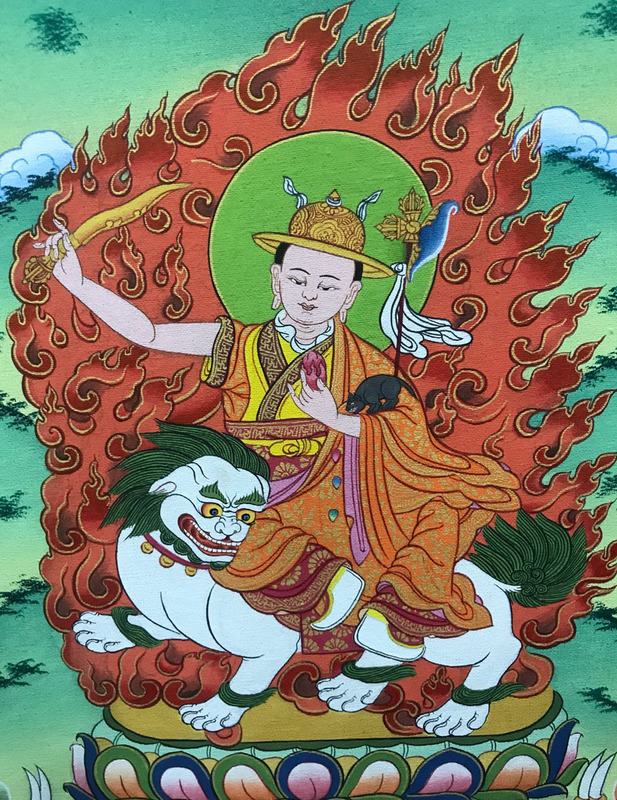 Thank you Rinpoche for your compassion towards us to bring us the extremely beneficial protector practice of Lord Dorje Shugden who is the same mindstream as Buddha Manjushri and having to bear all the abuses because of it. 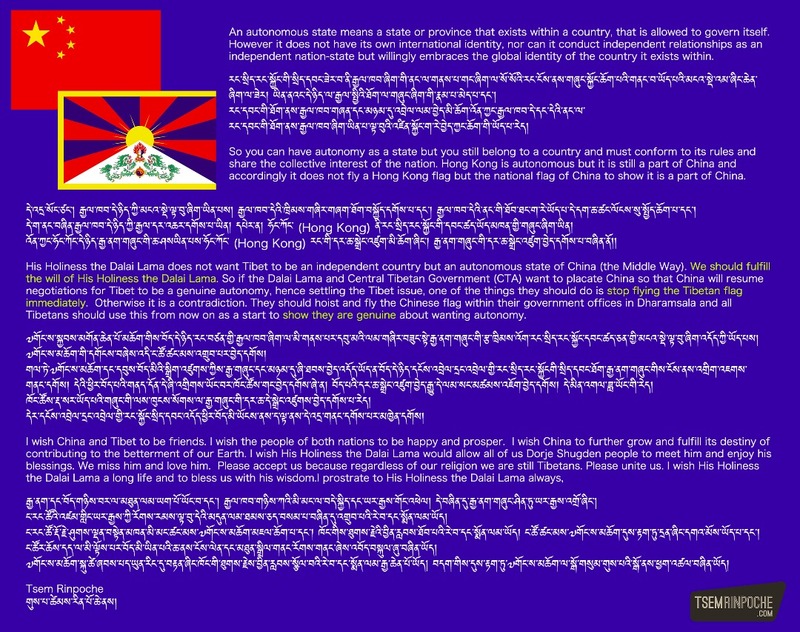 May the Dalai Lama swiftly manifest his true compassionate nature of Avalokiteshvara to aknowledge the ban and to lift it for the reunification of Buddhist practitioners. 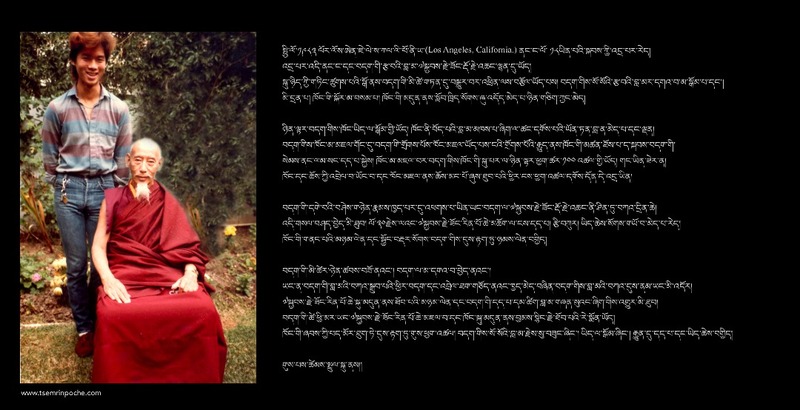 Thank you Rinpoche for this article. 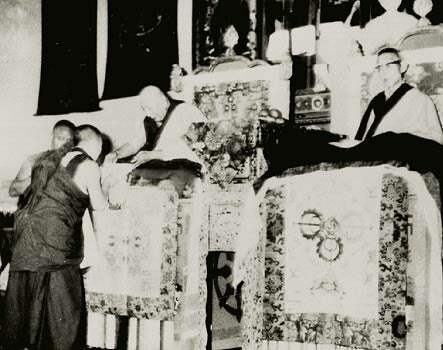 We will also be loyal to Rinpoche just like how Rinpoche towards Rinpoche’s Guru. 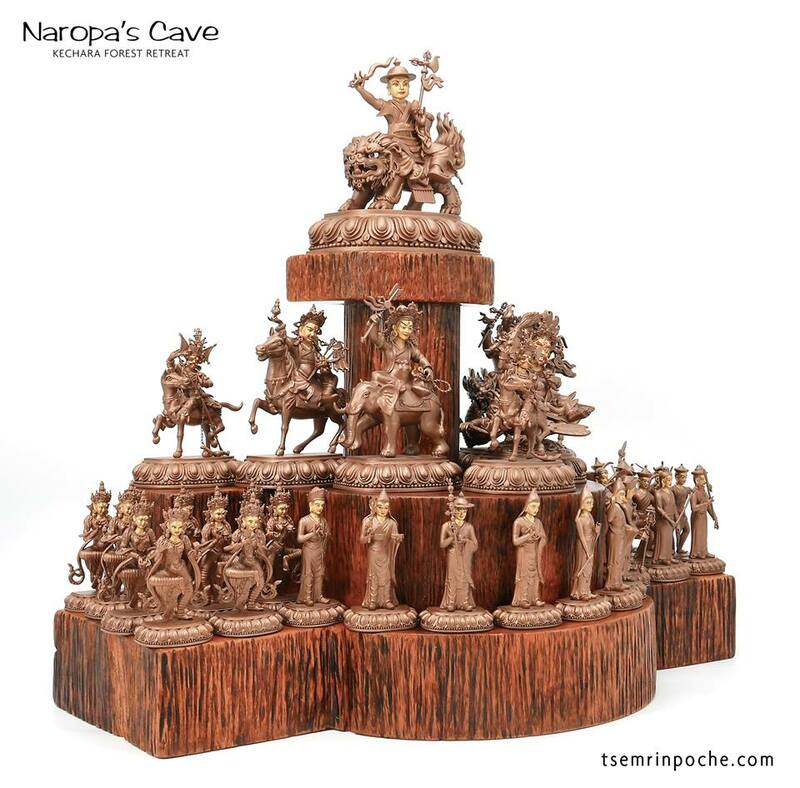 We will take all the negative comments and to protect Rinpoche from whoever tries to harm. 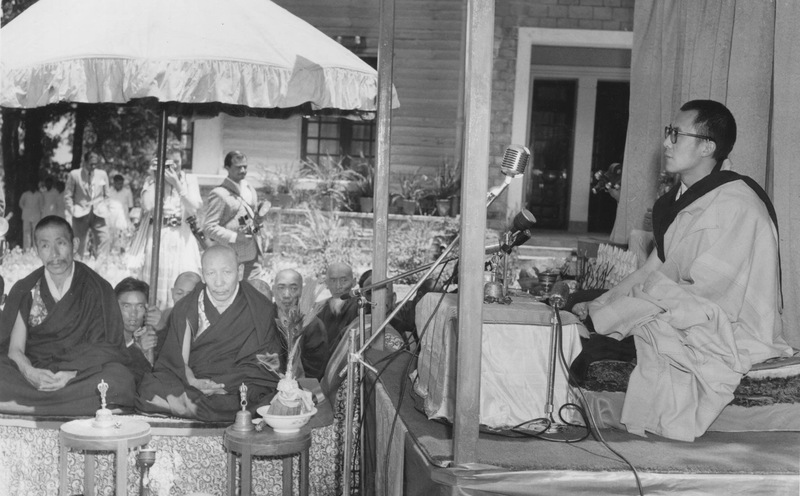 We will also practice whatever that has been given by Rinpoche to us. 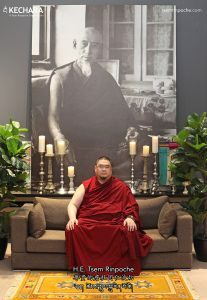 Thank you Rinpoche for sharing about what it really takes to have Guru Devotion : loyalty in the face of scorn. Guru Devotion is loyalty to our guru who has given us teachings and a set of instructions and practices that he knows we need to tame our turbulent minds. Guru Devotion means holding our loyalty to our Guru steadfastly despite being scorned or reviled. We believe and trust our Guru no matter what. 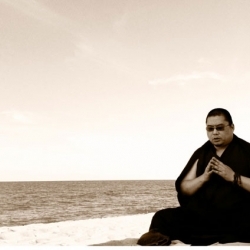 Our guru has examined us and knows exactly what we need to tame our mind. 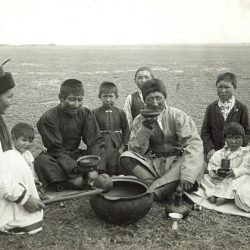 Therefore, with respect, we pay homage to all practices given to us by him and hold them dear till our death. 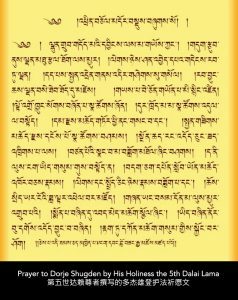 Guru Devotion means enduring all samsaric beings’ hatreds and all the karmas that manifest ,while remaining steadfast to our commitment to our Guru, which is to hold the teachings within us, transform and benefit others. 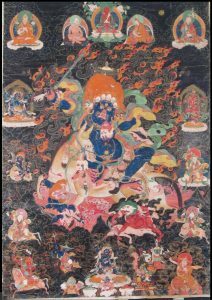 Guru Devotion means not abandoning our lineage, practice, instructions, yogas and protector at all cost.Guur Devotion means seeing the hatred manifest towards us due to our loyalty and diligence, as karmas arising to be purified. Guru Devotion means that ,without the permission of our guru, we may not abandon any meditations, prayers, yogas and paths given to us by him. No other guru may override our guru’s instructions to us. 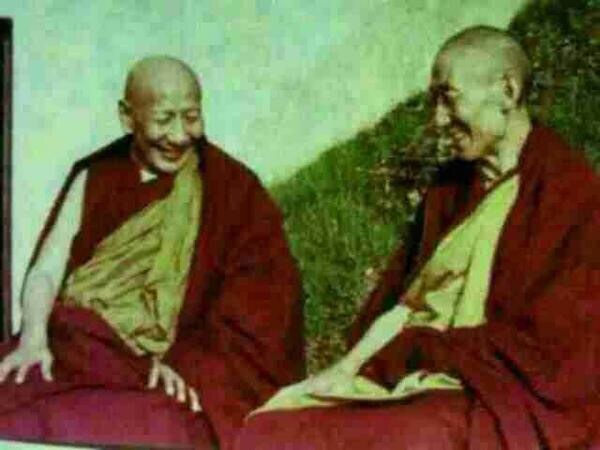 Thank you Rinpoche, for showing , by your fine example, what love, loyalty and devotion to our Guru truly means. Reading this article bring tears to my eyes for I know of the scorn and pain that HE the 25th Tsem Rinpoche has to endure. 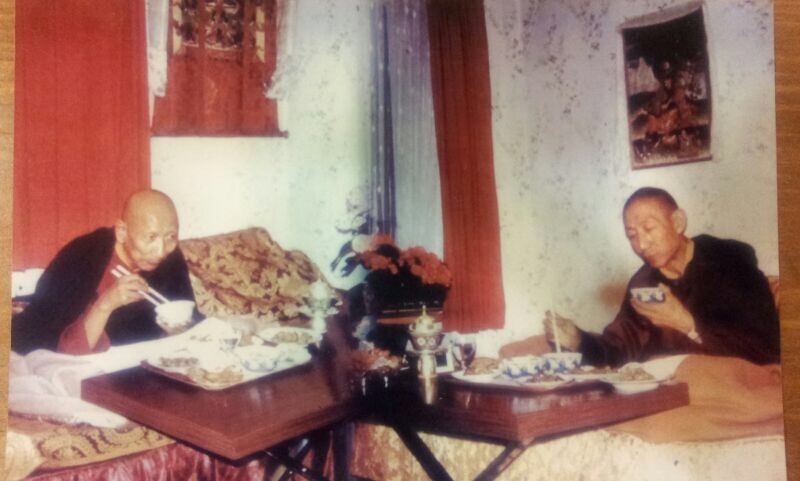 At the same it is so very awesome to experience such Guru Devotion from Rinpoche to his Guru, HH Kyabje Zong Rinpoche. It is illogical that people can blame a Lama like Rinpoche for any wrong doings in His faith and belief in His Guru’s teachings and empowerment. 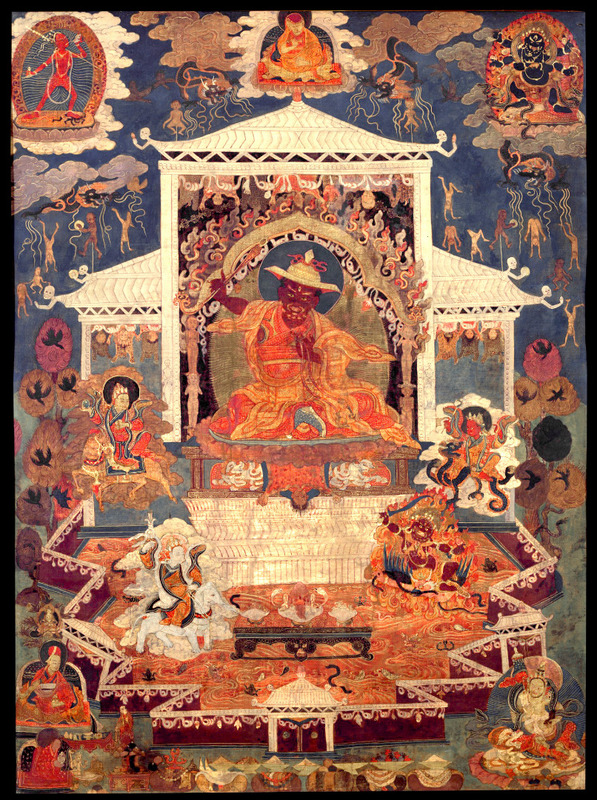 The worship of Dorje Shugden is only one of the practices of Rinpoche, why has the rest been not acknowledged. HE the 25th Tsem Rinpoche is one of the greatest Masters and Teachers who could teach on everything that would empower good virtues to be evoked by His students. 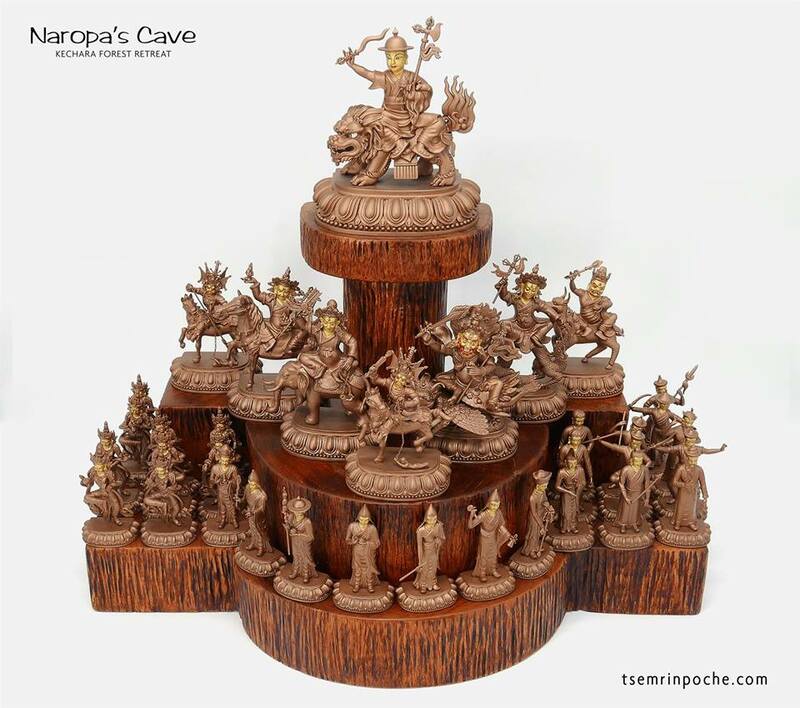 A study of Tsemrinpoche.com (which is both a cyber temple and encyclopedia of diverse and powerful subjects) is evidence of His immense capacity as a Guru. 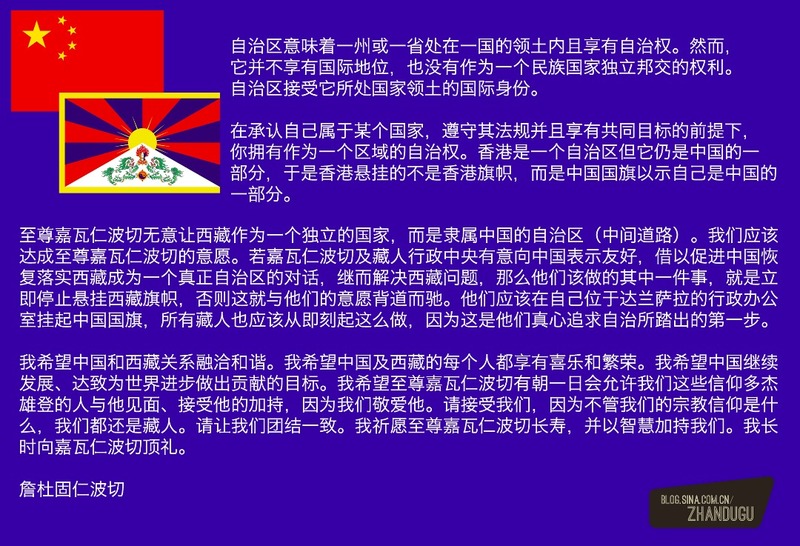 Over 8.5 million have read Rinpoche’s blog. And many have benefitted from the knowledge gained. How can on of such virtue be scorned because of His loyalty and Guru Devotion. 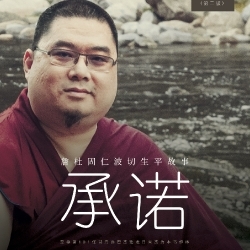 Very powerful and meaningful advice and teachings for us to remember and .learn from it.The quotes and words were simple yet a meaning teachings. 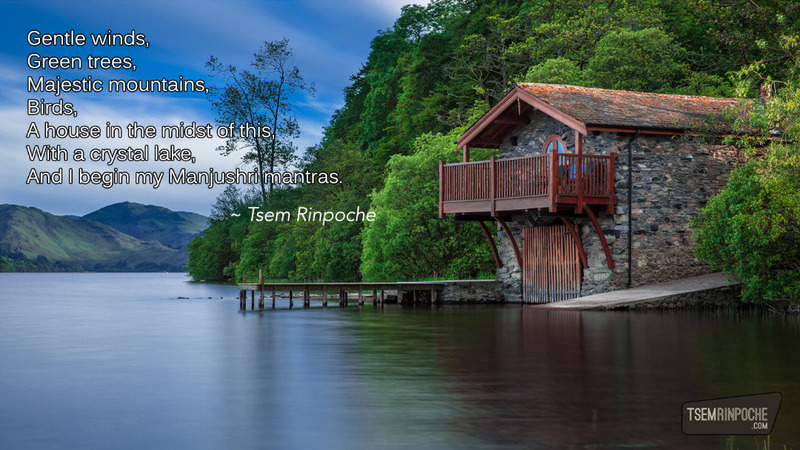 Always have faith and take refuge in the Buddhist teachings. We must develop a loving respect for our Guru and with the proper devotional attitude towards our Guru. 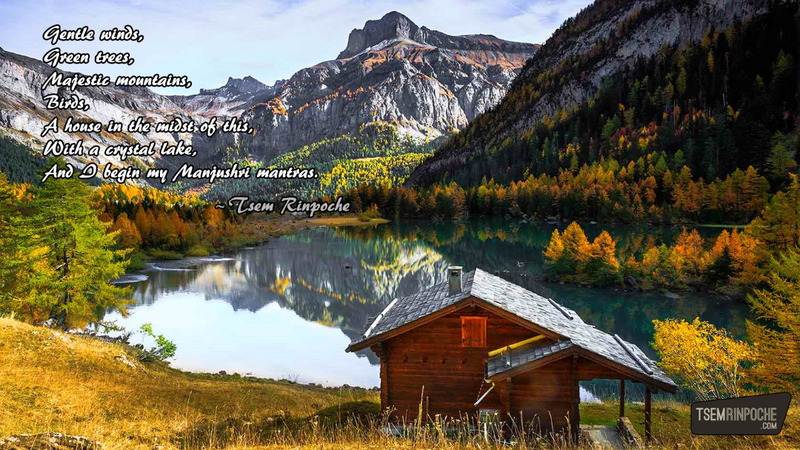 Thank you Rinpoche for sharing these wonderful and meaningful teachings Its a good reminder for all of us. 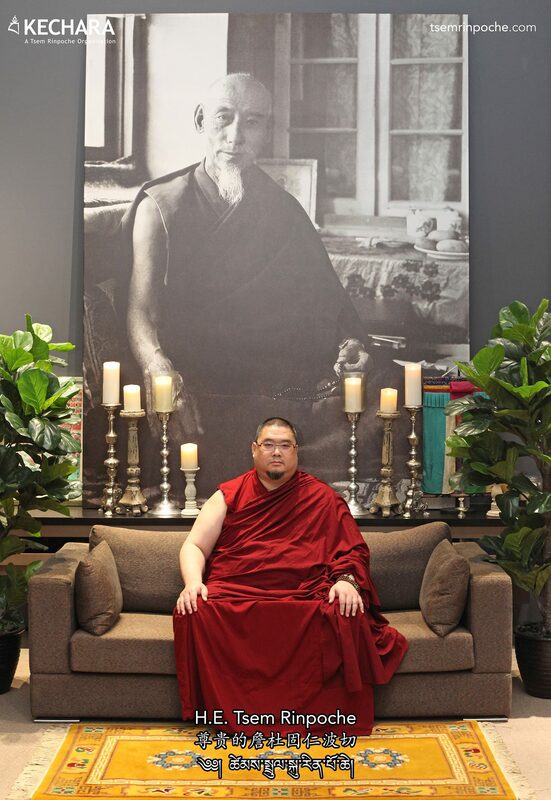 Thank you Rinpoche for sharing your valuable advice, guidance, teachings, motivations and all the never-give-up pure guru devotions to continue practising and protecting of what our Guru has given to us without any doubts or shaky thoughts. 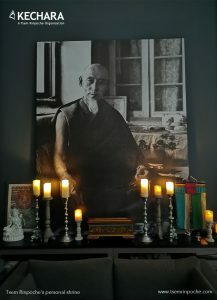 May the pure guru devotions as taught by Rinpoche will become motivation and aspirations for many of us and all the people who have read this posting to set greater determination with our Protector practice, Guru Yoga meditation and other practices that our Guru has passed on to us no matter how hard the obstacles are and how the entire world look at us. 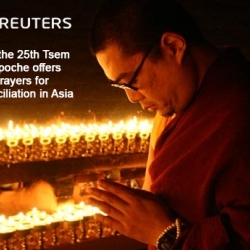 May the ban of Dorje Shugden will be lifted as soon as possible and world peace with harmony and bliss will be manifested in very near future. 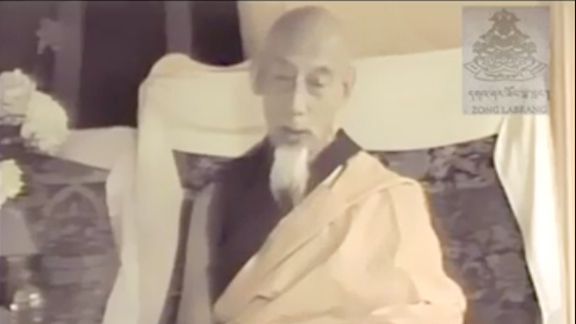 Thank you for sharing your wonderful and virtuous thoughts on devoting to a spiritual guide. 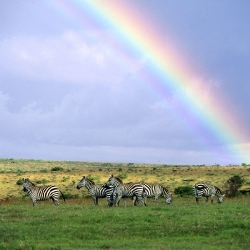 The words are simple, poetic and pregnant with profound meaning. 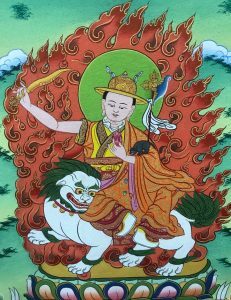 I particularly find the pictures evocative of devotion, of servitude, of humility and particularly poignant with the situation with the current Dorje Shugden predicament. I am sure this would inspire many to seek a teacher with authentic lineage and develop a stable and consistent spiritual relationship.